If you are looking for Sydney accommodation that is both kid friendly and iconically located at Circular Quay, overlooking the Opera House and the Sydney Harbour Bridge, then Babyology has a fantastic option for you. 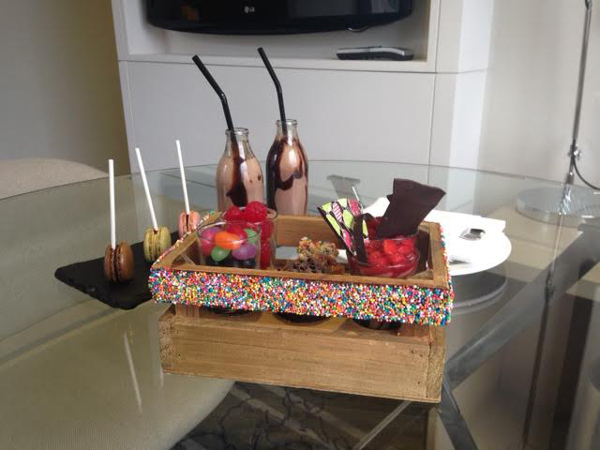 Babyology’s founding editor, Mandi, recently took her lucky seven-year-old daughter Hayley for a very cool birthday treat – a night at the Marriott hotel! 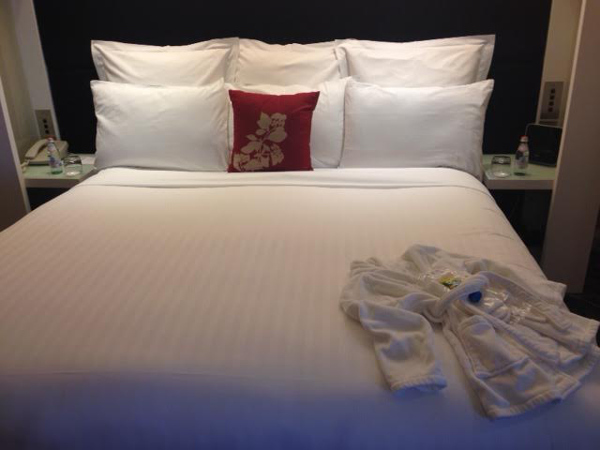 Located right in the heart of Circular Quay, the Sydney Harbour Marriott is the perfect place to stay both for visitors to Sydney and for locals after a special night or two in the city, and, as Mandi discovered, it is also very child friendly! Mandi and her daughter arrived at the hotel to discover a number of special kid-sized treats waiting for them. 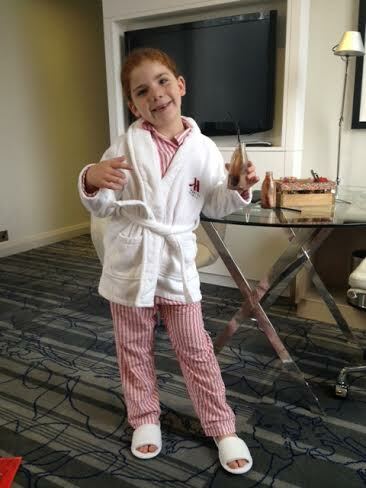 Child-sized robes and slippers awaited her, and room service offered an amazing platter of kids’ treats (that just quietly, I’d consider ordering even if I was there sans kids). The room service menu at the Sydney Harbour Marriott also includes all the standard kid’s favourites such as fish and chips should you and your children want a quiet night in watching movies. 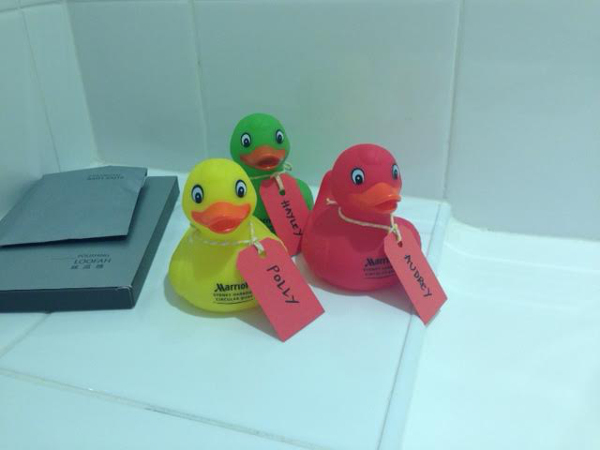 The hotel also provided them with cute rubber duckies for bath time and Freddo frogs (for her daughter) on the pillow at turn down. 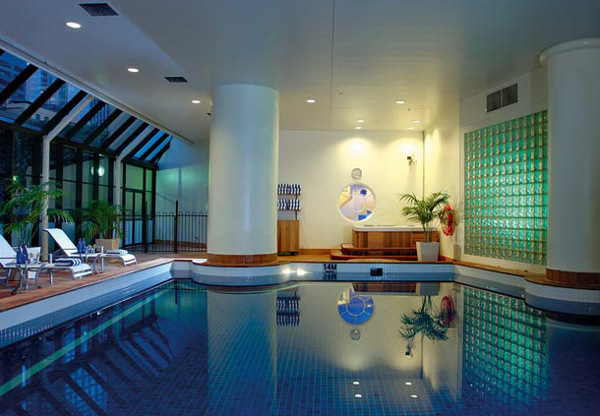 The Sydney Harbour Marriott is perfectly located for any number of kid friendly outings. Right at Circular Quay, a ferry trip to the zoo, Luna Park or Manly is literally on your doorstep, or, should you prefer a day in with all the mod-cons, the hotel also has a spa and indoor pool. For bookings or to find out more about their other family-friendly offerings, contact the Sydney Harbour Marriott Hotel .